K.A. 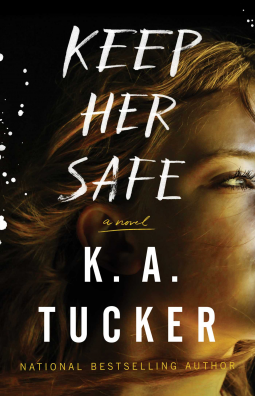 Tucker is my go to author for a romance suspense/thriller novel. I hang on every word she writes. She weaves the words in a way that no other can. Keep Her Safe is a book about a college graduate, Noah Marshal, son of the Austin Chief of Police. He works for the Office of the District Attorney. Growing up, Noah was very close to Gracie Richards' father. That was until he was murdered. Gracie Richards was young when her father was murdered. After the death of her father, her mother went in a downward spiral, addicted to booze then she turned to drugs. Knowing deep down her father was innocent, Gracie never believed the accusations that her father was a corrupt cop. After a tragic event that shook Noah's world, he begins to see things in a different life. When asked by his mother to deliver something to Gracie, he complies. It's then he sees the horrible conditions that Gracie has been living in . When the circumstances lead him to Gracie, the two of them begin to search for answers. It was as they began to peel the layers of an onion, each layer revealing something new. Sometimes we aren't prepared for the answers that might be revealed. Especially, when those people you least expect may be involved. This book was AMAZING ! I could not read it quick enough. With each turn of the page, K.A. Tucker took me on a fabulous ride that I never wanted to get off. Baby Daddy by Kendall Ryan is ALMOST HERE! Coming Soon: The Dandelion by Michelle Leighton! #1 Rival by T. Gephart is LIVE! On Thin Ice by Piper Rayne is AVAILABLE NOW!